So, when I first saw the recipe, I immediately thought that this was going to be pretty involved. It may seem that way, but it really isn't. To break it down, it starts off by making a syrup which is then poured into a stand mixer with gelatin. The mixture is then whipped to incorporate some air. Meanwhile, a caramel is made and some is incorporated into the freshly whipped marshmallows. The caramel-swirled marshmallow mixture is then transferred into a pan to set for several hours. Once set, the marshmallows are cut to size and dusted with sugar and cornstarch to prevent sticking to each other. This is a recipe that takes some time to make but trust me, it's well worth it! These homemade marshmallows make great gifts and can be enjoyed throughout the winter with all those mugs of hot chocolate that you'll be having! For the Classic Coating: Sift the ingredients together in a large bowl or combine them in a food processor. Store it in an airtight container; it keeps forever. 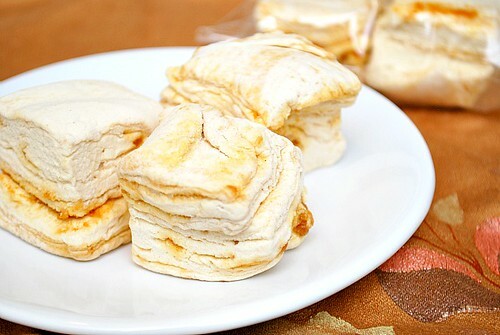 For the Classic Vanilla Marshmallows: Lightly coat an 8-by-8-inch baking pan with cooking spray. Stir together the sugar, 1/4 cup of the corn syrup, water, and salt in a medium saucepan over high heat. Boil, stirring occasionally, until the temperature reaches 240°F. Meanwhile, pour remaining 1/4 cup corn syrup into the bowl of an electric mixer fitted with the whisk attachment. Microwave gelatin on high until completely melted, about 30 seconds. Pour it into the mixer bowl. Set the mixer speed to low and keep it running. When the syrup reaches 240°F, slowly pour it into the mixer bowl. Increase the speed to medium and beat for 5 minutes. Increase to medium-high and beat for 5 more minutes. Beat on the highest setting for 1 to 2 minutes more and beat in the vanilla; the finished marshmallow will be opaque white, fluffy, and tripled in volume. 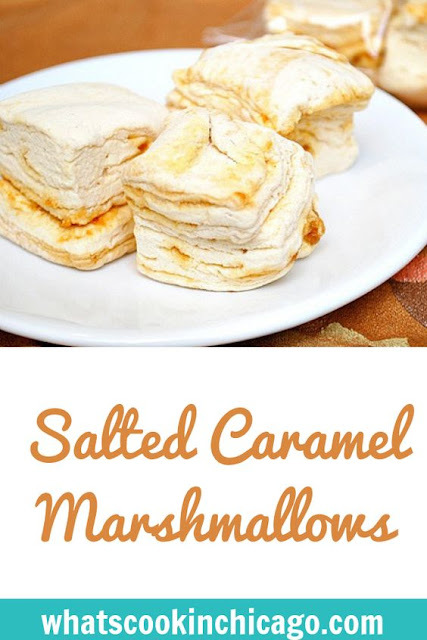 Sea Salt Caramel Swirl Marshmallows: Stir together the sugar, water, and corn syrup in a small saucepan over high heat. Stir until the sugar is dissolved and the syrup comes to a bubble. From this point on, do not stir the syrup; just occasionally swirl the pan gently. When the caramel reaches a light amber color, remove the pan from the heat and quickly whisk in the cream. The caramel will bubble violently, so be careful. Whisk in the salt. Transfer the caramel to a medium bowl. Whip up a batch of Classic Vanilla batter. Working quickly, scoop about a quarter of the finished batter into the bowl with the caramel. Whisk the mixture together until well blended. Scrape the caramel marshmallow back into the bowl with the vanilla batter and, using a large spatula and a figure-eight motion, fold and swirl the two together. Pour the marshmallow into the prepared pan, using an offset spatula to smooth it into the corners and flatten the top. Sift coating evenly and generously over the top. Let it set for 8 hours in a cool, dry place. Use a knife to loosen the marshmallow from the edges of the pan. Invert the slab onto a coating-dusted work surface and dust it with more coating. Cut it into pieces and dip the sticky edges in more coating, patting off the excess. After a day or two of storage, these mallows may need to be redusted with coating.